The federal government needs to be more ambitious in its poverty reduction targets and timelines, according to this year’s national poverty report card from Campaign 2000, a non-partisan coalition of 120 groups and individuals co-ordinated by Family Service Toronto. 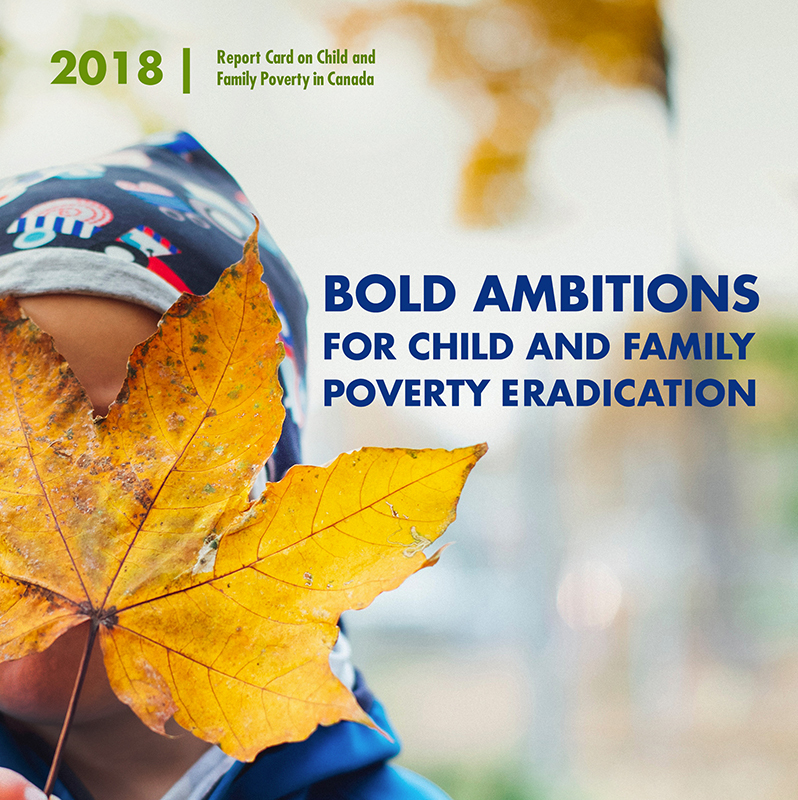 The new report released Nov. 20 – the United Nations’ Universal Children’s Day – provides a current snapshot of child and family poverty in Canada and demonstrates the need for a costed implementation plan to eradicate child poverty in this generation. “More than 1.4 million children in Canada still live in poverty nearly 30 years after the 1989 all-party resolution to end child poverty by the year 2000 was passed,” says Campaign 2000 National Co-ordinator Anita Khanna. “The federal government has made significant investments since 2015 and the Canada Poverty Reduction Strategy (CPRS) is a new starting point in Canada’s battle against poverty – but it is not yet the strategy Canada desperately needs,” she claims, adding the strategy’s targets should be more ambitious, the timelines shorter and the plans to accomplish them transparent. Campaign 2000 was formed in the early 1990s to urge governments to deliver on an all-party House of Commons resolution to end child poverty by year 2000. Five Campaign 2000 provincial partners, including Ontario, also released their annual report cards on child and family poverty on Nov. 20.